The Music Trust has announced the three finalists for the prestigious 2017 Freedman Jazz Fellowship, Australia’s premier award for excellence in jazz. This year’s contenders for the annual award are trumpeter, composer Nick Garbett, trumpeter, composer Ellen Kirkwood and pianist, songwriter Emma Stephenson. All three have forged strong careers as both composers and outstanding instrumentalists. The finalists will now have the opportunity to compete for the $20,000 cash prize in a live performance ‘play-off’ at Freedman Jazz at the Sydney Opera House on Monday 30 October at 7.30pm. The judges, distinguished jazz musician/composers Stu Hunter, pianist, Mike Nock ONZM pianist, composer and educator and Dr Phillip Johnston, saxophonist, selected the three finalists from a group of 16 national candidates nominated by outstanding musicians around Australia. The finalists were judged in part on their proposed career enhancing project for which the prize money would be used. Dr Richard Letts, Director of The Music Trust said “I was delighted to see a strong representation of outstanding female artists in the competitive field of nominees this year. Our final concert will include two women composers and instrumentalists. All nominees clearly display an original voice and intend to pursue ambitious projects with broad implications for the evolution of the music as a whole”. Nick Garbett plans to co-ordinate a European tour in October 2018 with Sydney based group The Vampires and West African born, now Europe based guitarist Lionel Loueke. Nick would take this opportunity to compose new music for the tour. This tour would involve and feature all four regular members of The Vampires: Jeremy Rose, Alex Masso, Alex Boneham and Nick. Ellen Kirkwood would like to use the Freedman Jazz Fellowship to fund a tour of her ground-breaking, one hour suite for big band, entitled ‘[A]part’, recently presented in concert at the UNSW. This tour would involve performances at popular jazz festivals around Australia, with three of the country’s best jazz orchestras. The tour would also serve as promotion for a studio-recorded album of the suite by Sirens Big Band in mid-2018. 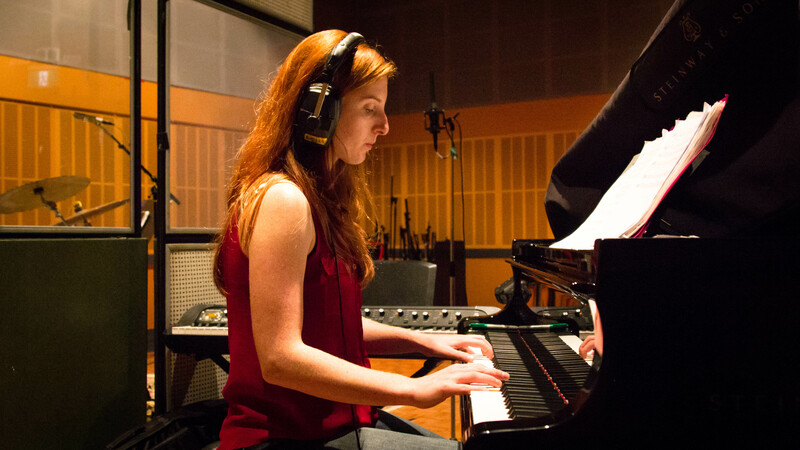 Emma Stephenson would devote most of her Freedman Fellowship to recording an album in New York comprising eight songs for piano trio and voice. The album would feature New York based vocalists including Australians Jo Lawry, Jane Irving and Liam Budge. She would also invest the award in her podcast ”Stuff You Can’t Say with Jazz Piano”, as well as piano lessons in New York and the development of an online distribution system for creative people to self-publish their own work on their own terms.